About the book: Jordan Burke, billionaire owner of Burke Enterprises doesn’t have time to date. 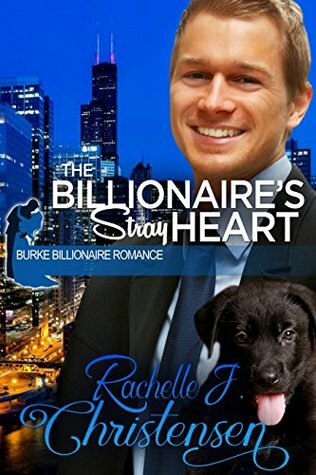 His sister thinks it’s time for him to find love and sets him up with her best friend, but Jordan can’t leave his work behind. 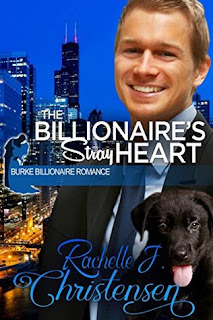 After the disastrous date, a stray puppy saves his life, and Jordan meets a woman who makes him rethink his priorities. My review: I have to say that I LOVED everything about this book! I loved the characters, the plot, the dog link between the leads and the length. This is one of those books you can read in an afternoon. That's my favorite kind! In this book, the first character you meet is Jordan. I liked him, he was a nice guy, but a serious workaholic. I loved watching that part of him melt away as he fell more and more in love with the stray puppy he takes in, as well as Madison. Madison is pretty amazing. I love the way she spends all of her time taking care of animals who have no one else to care for them. She has a pretty huge life goal and she's working hard to be able to get to where she can fulfill that goal. I had to laugh at the antics of his puppy, Roxie, especially when he finds that she's gotten into all of his stuff. I could almost see her looking at him with her big puppy dog eyes, and him melting into a puddle in front of them. This is such a cute, fun, clean romance! Make sure to grab your own copy!